JOB OF THE WEEK: We are looking for enthusiastic, newly qualified and existing Band 5 Occupational Therapists to join our friendly team of Therapists. Caring for the people of Shropshire and the Surrounding areas, we employ almost 6,000 people and are one of Shropshire's biggest single employers… isn’t it time you made a change? The Shrewsbury and Telford Hospital NHS Trust can offer you great career prospects and a fantastic lifestyle. Situated in one of the most attractive parts of the country with dramatic countryside and bustling towns we have supportive friendly teams and excellent professional NHS Job development opportunities. If the location isn’t enough to spark curiosity there are career prospects to suit everyone. 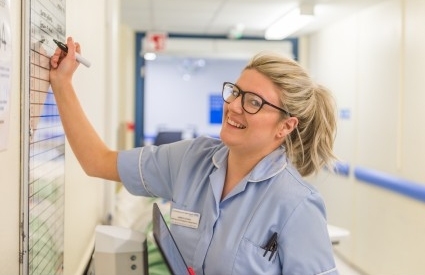 From apprenticeships and undergraduate study, through to temporary work and full-time positions for doctors, nurses, clinical and non-clinical roles. Our undergraduate teaching hospital is partnered with Keele University which finished second in the league table for “student satisfaction”. Browse our website or speak to our NHS recruitment team on 01743 492 402. Join us at The Shrewsbury and Telford Hospital NHS Trust and Belong to Something... exciting. 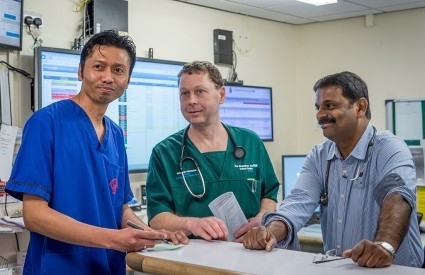 An opportunity has arisen to join our friendly, hardworking and progressive Non-Obstetric Ultrasound team at The Shrewsbury and Telford NHS Trust. 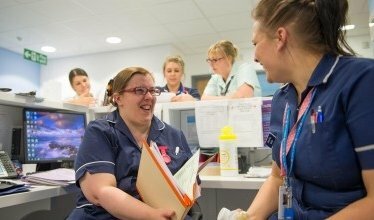 Enter your email address to find out more about The Shrewsbury and Telford Hospital NHS Trust and why you should work for us.